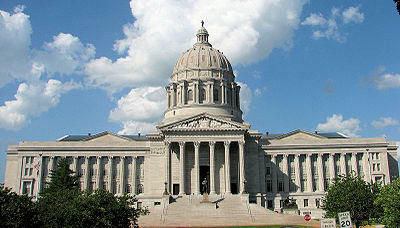 Nice restaurants in Jefferson City should be sad to see the Missouri Legislative session end. They’ve received tens of thousands of dollars worth of business from lobbyists courting Missouri’s legislators over dinners and drinks. Who were the legislators taken out for expensive meals? Well, in many cases, we don’t really know. Missouri is one of the few states without restrictions on lobbying. It’s one of the reasons we're always near the bottom of the pack in ethics rankings. People who defend the system say Missouri is a reporting state, not a restricting state. The logic goes that our no-limits system is fine, because it's easy to find out who is giving and who is receiving. But that’s not really the case. According to our analysis, for the first three months of this year, lobbyists spent more than $450,000 for gifts like drinks, dinners and basketball tickets. Out of that, more than 75 percent of the gifts were to groups instead of individual legislators, which ends up hiding who the real recipients are. For example, let’s say you’re a legislator, and being taken out for an expensive meal by a lobbyist. Having your name show up on a disclosure looks bad -- nobody wants to be on those. A better alternative could be having the meal go to a group instead. A group could be a lot of different things: it could be your party, it could be the entire House or Senate, or it could be one of the committees you serve on. But most importantly, what it does is leave your name off the list. The Missouri Ethics Commission is the governmental body charged with keeping track of these lobbyist gifts. The organization's director, Stacey Heislen, says this is all completely acceptable, as long as all members of the group are invited. The one thing that’s supposed to separate a group expenditure from an individual is the invitation to all the members. But in practice, the Missouri Ethics Commission doesn’t even ask for proof that every member was actually invited. I asked her if that was problematic -- that our system makes no distinction between 20 legislators partaking in $1,000 meal and one or two legislators partaking in a $1,000 meal, and that it doesn’t even name those legislators. “We just work within the parameters that we have in the statute," Heislen said. "That’s what we’re allowed to look at, and that’s the authority that we have." Heislen can only use the rules the General Assembly comes up with. But Kander says those rules need to be revised. “Allowing lawmakers to hide behind committees - that in some cases have no real duties - in order to avoid disclosing which legislators are receiving gifts is certainly violating the spirit of the law,” Kander said. He says legislators will always find ways of working around complete disclosure, and that the only course of action is to eliminate lobbyist gifts altogether. “I come at this from a different perspective. I used to be a lobbyist," Rory Ellinger, a House Democrat from University City. "(I) Never spent a dime though, we didn’t have any money,” he said, laughing. Ellinger started out as a lobbyist in the 70s, and says the problem isn’t lobbyists themselves -- they provide expertise and experience, especially in Missouri’s term-limited system. He says the only problem is when money and gifts are involved, and that the problem is compounded when it’s so easy to hide your name from the disclosure. Ellinger is one of the co-sponsors of a bill in the House that would have capped lobbyist gifts at $1,000 per legislator. That bill never even received a hearing in the Republican-controlled House. So far, Democrats have accepted $40,000 in personal gifts, Republicans: $62,000. St. Louis Public Radio has a new data-oriented project that will be keeping track of all the money Missouri legislators receive from lobbyists. In our interactive graphic, you can see every gift a legislator has received. Missouri lawmakers in both chambers are pre-filing bills for next year’s regular session. Much of the legislation pre-filed in the State Senate so far deals with tax credits.